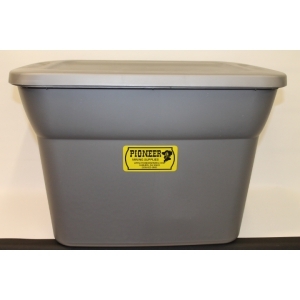 These tubs are made of high impact plastic and are 18 gallon in size with a lid. 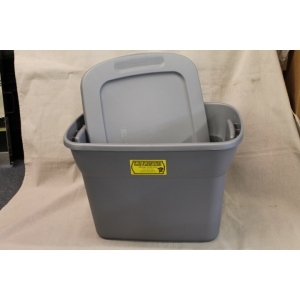 This tub makes a great storage device and tool for taking your blue bowl on the go with you. Large enough to hold your blue bowl, buckets, screens, and all the other accessories we have available for our blue bowl with room to spare. Great for holding water. Comes with lid.